We provide a huge range of high quality Analog Wattmeter that is extensively used to compute DC power during load. Our Dc Wattmeter is highly acknowledged for its brilliant quality and accurate reading. Available in varied specifications, our wattmeter can be customized as per the demand of the client. 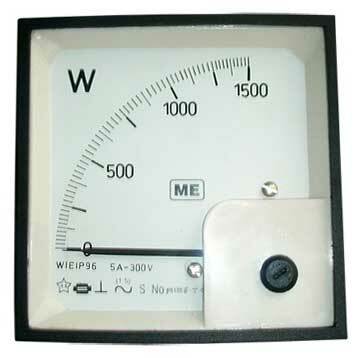 We are counted among the preeminent Wattmeter Manufacturers and suppliers in India.